In a past issue we spoke about obstacles to bhakti. One obstacle we didn’t mention was the path of bhakti itself. Yes, the very practice of sadhana can become an obstacle to spiritual advancement. As I explained in the newsletter entitled Putting An End to Courtesy Japa, japa done without attraction, taste or feeling often becomes a kind of “courtesy japa,” a ritual to chant a prescribed number of rounds. Similarly, all our devotional service can turn into ritual. We look at what this means and how it happens. Can your sadhana, the practice of the rules and regulations of bhakti, ever have adverse effects? It definitely can. The very practices that help you can also hinder your bhakti. How is that? They go to temple, you go to church, and the Mohammedans, they go to mosque, and similarly, there are different systems. But if one is simply sticking up to the system without seeing “How much progress I am making in my life?” then that is waste of time. That is called niyamagraha, simply observing the rules. Srila Bhaktisiddhanta had a sannyasi disciple who desired to walk around the entire Ganges (Ganga parikrama) for his own purification. He asked Srila Bhaktisiddhanta for permission and was told not to do it. However, he felt it important to perform this austerity for his own purification and decided to go on Ganga parikrama anyway. You could imagine how purifying it must have been to spend months walking around the Ganga doing nothing other than chanting the holy names and remembering Krsna. 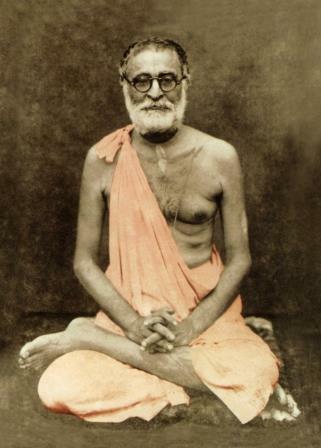 When he returned from this long parikrama, he told Srila Bhaktisiddhanta he had come back from performing his austerity. Walking around the entire Ganga is certainly not easy, and he most likely did this barefoot. And he probably chanted nearly one hundred rounds a day of japa. He had to practice tolerance and complete dependence on Krsna. It was a great spiritual accomplishment. Srila Bhaktisiddhanta Saraswati Thakur was so disappointed with this devotee that he told him that I am taking away your sannyasa. All that austerity and chanting produced a contrary result because it was performed against the wishes of his spiritual master. If one doesn’t please the spiritual master, Krsna is not pleased. And if Krsna is not pleased, one won’t make advancement. Once an ISKCON devotee, another sannyasi, was staying in Mayapura and chanting sixty-four rounds a day. He didn’t want to associate with other devotees because he wanted to concentrate on chanting. So he built a tree house, lived there, and rarely came out. This was pointed out to Srila Prabhupada but Prabhupada didn’t say much. But devotees felt there was something wrong with this devotee’s attitude and kept bringing up the issue to Prabhupada. Finally Prabhupada said that it was just sense gratification. Why? Because Prabhupada never instructed this sannyasi to chant sixty-four rounds a day and live separately from other devotees. Prabhupada was not pleased that he didn’t want to associate with other devotees. Prabhupada’s point was that this devotee was just doing what he wanted, not what his spiritual master wanted. Therefore Prabhupada said it was sense gratification. So even chanting sixty-four rounds a day can be sense gratification. Let’s go back to the story of the sannyasa and the parikrama to draw parallels. Sannyasa is not meant for sense gratification. And because this sannyasi wanted to go on parikrama even though his guru maharaja didn’t want him to do it, Srila Bhaktisiddhanta took it as sense gratification and thus took away his sannyasa. So there’s an interesting concept for you: austerity as sense gratification. Just see how subtle maya can be. Krsna consciousness is not about rules or austerities. It is about a loving relationship with guru and Krsna. We are not supposed to follow rules for the sake of being good followers of rules. The problem is that some of us tend to be attached to following rules and regulations, even sometimes at the cost of our own spiritual advancement. Why? Because following rules and regulations is easier for many of us than trying to love Krsna. And as we have seen above, we can become so attached to following a specific rule or practice that we do so at the expense of neglecting an order from our spiritual master. The attachment to the rule simply becomes a self centered activity. Thus, an attachment to a rule can become a material attachment. There is no mechanical process to see the form of the Lord. It completely depends on the causeless mercy of the Lord. We cannot demand the Lord to be present before our vision, just as we cannot demand the sun to rise whenever we like……Narada Muni thought that the Lord could be seen again by the same mechanical process which was successful in the first attempt, but in spite of his utmost endeavor he could not make the second attempt successful. The Lord is completely independent of all obligations. He can simply be bound up by the tie of unalloyed devotion. If bhakti were a mechanical process, then the sannyasi doing parikrama and the sannyasi chanting sixty-four rounds a day would both have made great advancement (by the way, the sannyasi chanting sixty-four rounds a day later fell down). Conditioned souls like you and me want to control things. Prabhupada often says conditioned souls want to “lord over material nature.” So when we become devotees we bring that same propensity to the religious arena, except this time around we want to “lord over religious nature.” We want to master the religious process by understanding the mechanism (in this case, rules and regulations) that will produce a specific result (going to the spiritual world, getting God to favor us, becoming advanced, etc.). In this way of thinking God is almost left out of the picture, and the rules and regulations (the mechanism) is what’s important. We want to master religion like we master anything else in the material world – learn the process, do it well, and get the results. We want to control the outcome of the spiritual process. In India, this is called karma mimansa. In the west you find this same kind of thinking in many of the imported Eastern religions and also in the spiritual self help field. The idea is that if you follow some formula you can control your destiny. In other words, follow a formula and you are guaranteed to get the exact results you strive for. Whenever you hear someone in the self help or spiritual field say, “Here’s the formula for achieving this, for getting what you want,” it is usually tainted with the karma mimamsa thinking of “I am bound to get results for my actions and God either doesn’t play into the equation or He is bound to give the results.” You find this thinking littered all over books that talk about the keys to this, the steps to that, the principles of success, etc. In this way of thinking, loving God is not necessary. So karma mimamsa means you just have to follow the rules and God is obliged to provide you with what you want through the laws of nature. In fact, you don’t even need to believe in God because nature is bound to reciprocate. It’s like going to a government clerk to get a license. You fill out a form, pay a fee, and get your license. It doesn’t matter whether or not you love the clerk. He is obliged to give you the license. God (or the universe) is a clerk who is obliged to give you results for your actions. Does this mean we don’t try? Does this mean we defy natural law? Does this mean there are not proper or better ways to do things? No, no, no. Many of my newsletters are full of practical “steps,” “principles,” and “keys” to advance, “formulas for success.” What it means is that there are five factors to action, as described in the Gita; four of them relate to you and me and our efforts to achieve our goals, and the fifth factor is Krsna, a Person with His own will. The karma mimamsa’s leave Krsna’s will out of the picture. We should not be misled by the karma-mimamsa philosophy, which concludes that if we work seriously the results will come automatically. This is not a fact. The ultimate result depends upon the will of the Supreme Personality of Godhead. In devotional service, therefore, the devotee completely depends upon the Lord and honestly performs his occupational duties. Therefore Prahlada Maharaja advised his friends to depend completely on Krsna and worship Him in devotional service. We have a propensity to think we can pull ourselves up by our own strength. That is our conditioned tendency. We might analyze things and say because I was thinking in the right way and doing the right things, I was successful. And to some degree this is true. But if we study what Prabhupada attributed his success to, it ultimately wasn’t formulas or rules (not that he wasn’t strictly following), it was the mercy of his guru maharaja based on his effort to please him. The point is that the more you and I become absorbed in our own abilities to advance, the more we leave Krsna out of the picture. If you think “I am earning my way back to godhead by my own effort,” you’ll lose your bhakti. Some examples might be to relate your accomplishments in devotional service to your spiritual advancement “I have done this and that this proves I must be Krsna conscious.” In reality it may only prove that you were able to do this and it had little or nothing to do with your Krsna consciousness. For example, you may have accomplished something so you would be recognized by other devotee or because you simply are good at that particular activity. In what ways might your practice of bhakti be sense gratification? Are there any rules and regulations that you are particularly attached to, so much so that the rules become an obstacle, i.e. you are more attached to the rules than you are to advancing? Are there any rules or rituals you are attached to or perform regularly but have little or no idea why you perform them? Think of other questions you could ask yourself to help you understand if karma mimamsa thinking is influencing you?